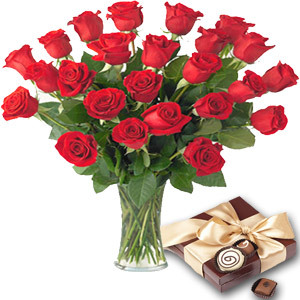 2 Dozen Red Roses in a Vase with box of 200 gm imported Eclairs Chocolate. 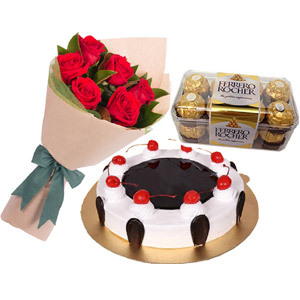 2.2 pounds round shape black forest cake from Swiss bakery with 1 dozen red roses in a nice bouquet. 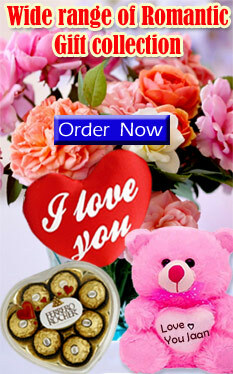 100 pieces red roses in a bouquet with imported testy 200 gm (16 pieces) Ferrero Rocher Chocolate box & Nice mug with the text of " Happy Valentin's Day ". 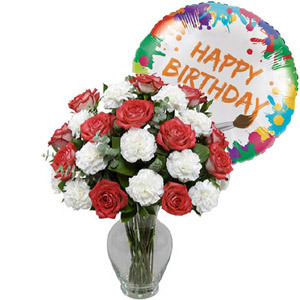 18 pieces red roses with 6 pcs carnations in a vase together with Balloon with Happy Birthday message. 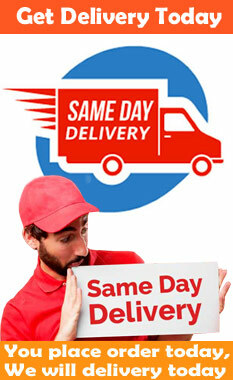 ( vase may vary). 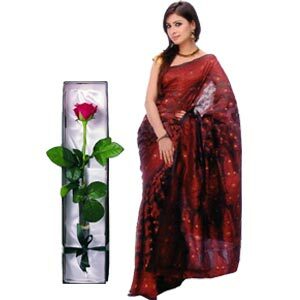 Jamdani silk sharee with heavy jamdani work all over the body, par and achol.Exclusive Collection of a Brand name Fashion house with 1 piece red rose in a nice box. 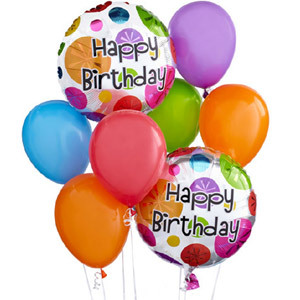 This colorful bunch of mylar(2pcs) and latex(6 pcs) balloons is perfect for all birthdays.